Believe me that I have neither read, nor do I care to read the article written by the notorious spy and mercenary in the service of the Castros, the Guatemalan Percy Alvarado who, in the most ruthless and most of all cowardly way, attacks the former political prisoner Jose Daniel Ferrer Garcia, one of the most emblematic and important leaders of the Cuban resistance. This Percy Alvarado has been against the Eastern Democratic Alliance and against the Central Opposition Coalition. Now I understand, rather, I am more convinced than ever, of the terror tyranny has for the valuable work of consensus and coordination of regional coalitions. Now I realize that it is not only Mr. Alvarado, but there in the East and not far away is José Daniel there in one more individual in the service of the regime, which is determined not only to destroy the Eastern Democratic Alliance and the Patriotic Union of Cuba, but also to confront them through public battles between these two main elements of the struggle in that eastern region and I mean these two unparalleled Titans: Rolando Rodriguez Lobaina and Jose Daniel Ferrer Garcia, whose unity and consensus is what the regime fears. Fortunately, more than a few of us are aware of that dirty strategy, which we know is cooked up in the laboratories of the political police of Villa Marista and its counterpart department in Santiago de Cuba. But both Mr. Percy Alvarado and his partner in Santiago de Cuba have had their answer. The cacerolazo — the banging on pots and pans protest — this January 24, 2012 and the perseverance and commitment to the victims of these attacks, for which the fight is already more than enough. These maneuvers of entertainment, seeking to deviate from what we do and our way, are as we say in street slang, por gustavo (a street way of saying that something is done in vain), for pleasure. And the more they attack us the stronger we grow, the more people like and know about us. They are wasting time. Ever onward Brother Joseph Daniel, your moral and patriotic stature grows by the day. And those attacks by Percy Alvarado and his followers make your brothers admire and like you more. 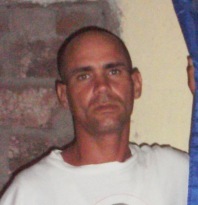 Wilman Villar Mendoza, killed by the Castro dictatorship January 19, 2012. In January, the first month of 2012, the Cuban internal resistance was the scene of two major events which, for their impact and significance, are milestones and mark the Cuban nation. On January 19, 2012 the death of political prisoner Wilman Villar Mendoza was announced, a young Christian Baptist who had spent more than fifty days dying on hunger strike, in which he demanded fair and transparent criminal proceedings, with promise of an adequate his defense. Villar Mendoza had been arrested, along with other members of the Patriotic Union of Cuba, when they carried out a resounding and peaceful protest in Santiago municipality of Boatswain. The political police, true to their cruel and false nature, planned a future attempt to prosecute him for alleged crimes of which he had already been legally exonerated, and Wilman Villar met his cruel death after a painful agony where the silence, indifference, complicity and torture put paid to his young, dignified existence. But days later his brothers in the internal resistance from one end of the country to the other, united in an unprecedented move. In hundreds and hundreds of Cuban homes, thousands and thousands of compatriots joined in a national cacerolazo — a pounding on pots and pans — to condemn the crime and the crude smear campaign launched by a cowardly government’s press releases against the memory of this young man who had much more courage than his executioners, to meet the challenges from a position of strength, against those who led him to prison unjustly. The regime and its enforcers of its flamboyant military deployment, arrests, and persecutions could do nothing to avoid the pot-banging, women, adolescents and almost children, men and women and all the people of the village who do not belong to the opposition as such, joined the cacerolazo. The cacerolazo this Jan. 24, Day of Resistance, its connotation and national and international impact tells us how much progress has been made by Cuba’s opposition, far-reaching in will and consensus, as is embodied in the spirit of unity in action and we announced that this could represent the year that has just begun in the fight for the freedom of the motherland. These are the facts, the rest is up to us. Women in the Rosa Parks Feminist Movement staged a protest on January 1, 2012, the first of a call for a protest on the first day of every month. This took place in the city of Santa Clara and participating were: Yris Tamara Pérez Aguilera, Idania Yánez Contreras, María del Carmen Martínez Lopez, Yanibel Valido Pérez, Damaris Moya Portieles and Aramilda Contreras Rodríguez among other women. After this protest they were attacked by agents of State Security that stopped them and other opponents. The Orlando Zapata Tamayo National Civic Resistance and Civil Disobedience Front, as part of its campaign We Are All the Resistance: The Streets Belong to the People and from the call for a Day of Resistance every month, is calling for January 24 to be the Day of Cuban Resistance with a cacerolazo — a protest of banging on pots and pans — at 8 pm. At this time we condemn the cowardly assassination of our brother Wilman Villar Mendoza. This call has strong acceptance from the opposition sectors across the country and we are calling the people and the internal resistance to pull together, every blow to the pot is a demand, is a cry of condemnation of this heinous murder. We have been able to confirm the arrest of the coordinator of the Western Front, Eriberto Liranza Romero, who was arrested at his home to prevent his participation in this cacerolazo on the 24th. It is a shame that those who lend themselves to punish members of the Resistance in Cuba, are maintained by dollars from what they call “Yankee imperialism.” Nereida Ganuza Santos has beaten Idania Yanez Contreras and Jazmín Conlledo Riverón, and has performed with her mother other acts of aggression and hate against peaceful Cuban human rights defenders. Her brother Eloy Santos Ganuza is in Miami and is a producer of programs on Channel 41. Personally I sent a letter to the Misters Romay, owners of that channel, to report these facts and so far I have not received a response. We do not tell anyone not to send help to his family, but at least we ask them not to lend themselves to repression and perpetuating injustice in Cuba. Now the family of Santos Ganuza lends itself to a new hoax in complicity with State Security they created a scenario to repress the representative of the Ladies in White in Santa Clara, Jazmín Conlledo Riverón, who was attacked in the street by Nereida Ganuza Santos. Jazmín now remains in a cell, with threat of prosecution, and Ganuza Santos walks with a cast on her arm blaming Jazmín. How long will the defenders of human rights in Cuba be unjustly accused, being the real victims of repression? How long will there be impunity and a double standard in Cuba? How long can we who are fighting sacrificially in Cuba withstand people coming from the free world, coming to our country to feed the front men from the tyranny of the Castro brothers? Here is the audio of people who, since late December 2011, have denounced this situation.